Have some fun and learn something new! 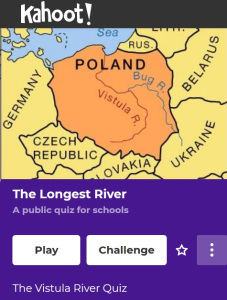 Here is a short quiz about Vistula, which is the longest Polish river. In order to start a game, please press the image below. So your proposal is going to be a good starting point! What about creating different quizes for our students? It might be a good way to learn something new about our countries.